Home / Research / Are the new Windows headsets Mixed Reality? 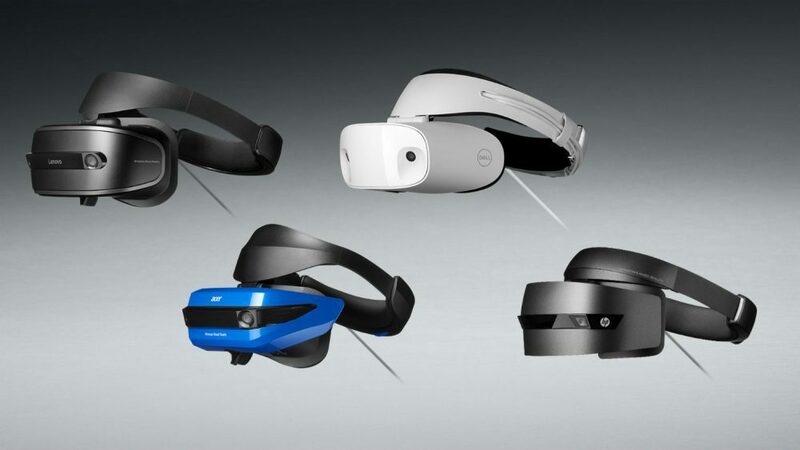 There has been an interesting semantic discussion on the interwebs, because Microsoft doesn’t call these VR headsets, but instead ‘Mixed Reality’ headsets. Which raises the question: is this Mixed Reality? Opponents state that this is a misleading term for these devices and that it is only used because the term Virtual Reality doesn’t have the Schwung people are looking for any longer. You could also state that the difference between Augmented and Mixed Reality is extremely vague. 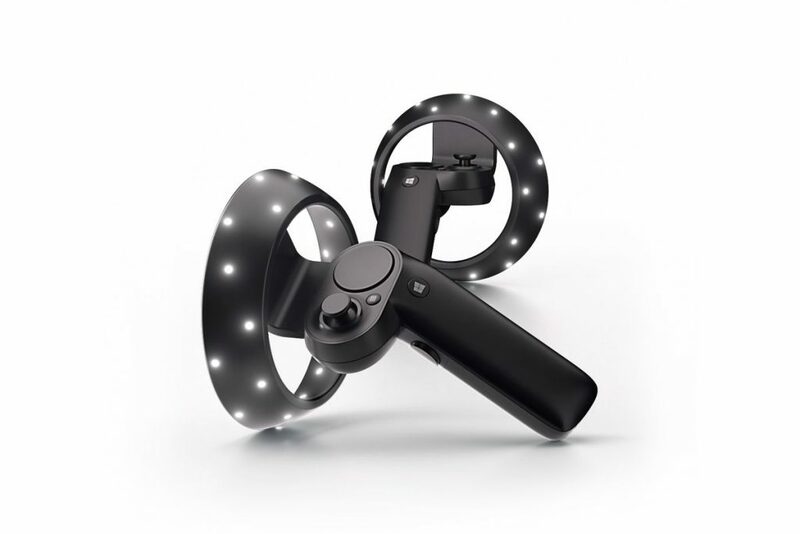 A while ago, Microsoft marketeers tried to wedge the two by emphasizing the interaction between the virtual and real objects which characterized Mixed Reality. Although I think these are valid points, I think we also need to consider the complexity of this challenge. The term Mixed Reality has been used in academic literature for quite a while, often pictured by the Reality-Virtuality continuum which was found in (Milgram et al, 1994). The term served as an umbrella to try to interpret all these different technologies and the different ways in which the real world influenced the virtual world and vice versa. Following this interpretation you could place the new Windows headsets somewhere on the MR spectrum, as the space of the real world does influence the virtual environment. Now, I don’t think Microsoft’s marketing department can really appreciate these academic subtleties. They want to sell these new devices and simplicity is key in marketing. Another consideration for Microsoft is to be consistent in the names they use for their products. As VR/AR/MR are becoming more and more common, they have to choose concepts that do not change every few months. To achieve this, we need to look further than these devices and really look at Microsofts entire strategy in this field. 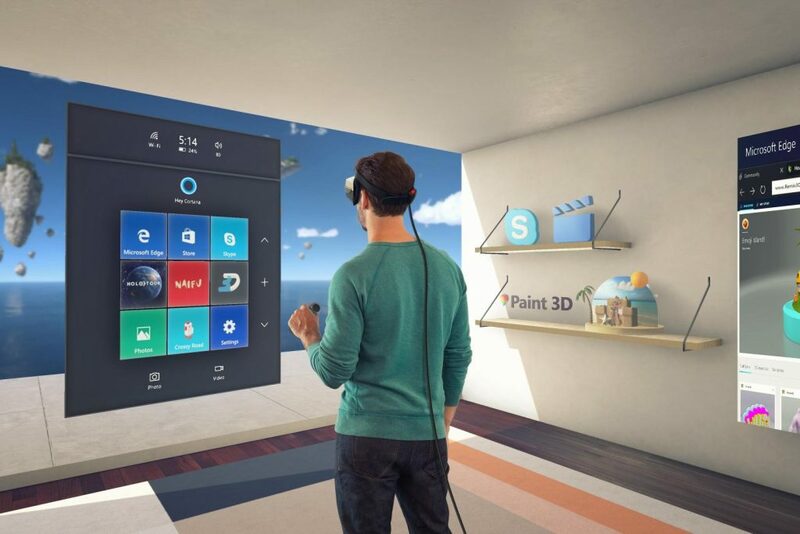 Microsoft shows a pretty clear vision: they want to offer the operating system for all our headset-based experiences, which all show different elements of the real and virtual world and different forms of interaction which change seamlessly from experience to experience. Do I think it’s fair to call these headsets Mixed Reality headsets? 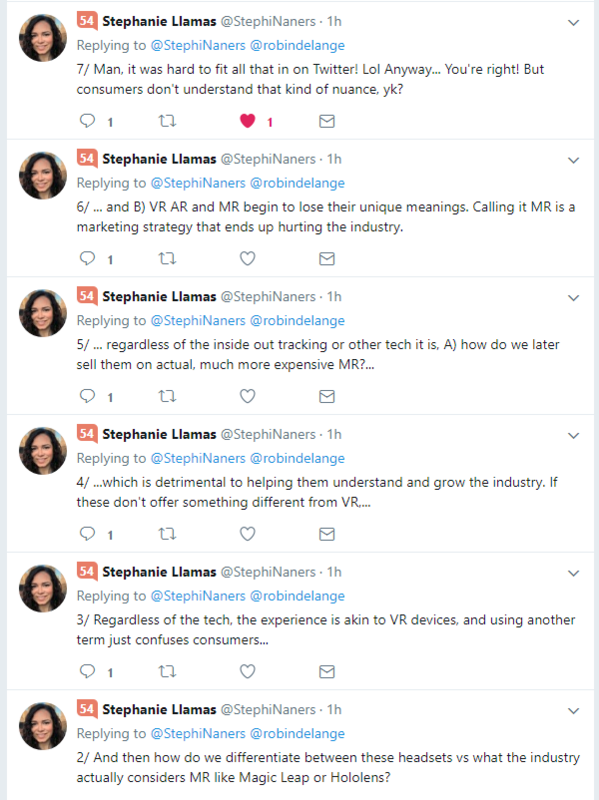 Yes, considering that these devices are a part of a larger strategy, in which it is very hard to distinguish between VR, AR and MR experiences, I can understand that Microsoft uses the umbrella term Mixed Reality for these headsets as well.